The great High Priestly Prayer of Jesus ends with the words which form our gospel reading for the 7th Sunday of Easter in the Year of Luke, John 17:20-26. In this passage we hear the rallying cry of the ecumenical movement: "I ask not only on behalf of these, but also on behalf of those who will believe in me through their word, that they may all be one." We hear Jesus' repeated prayer to the Father that all believers might be one, even as the Son and the Father are one. This fervent prayer serves to remind us that unity amongst Christians is not, like so many things in the Christian faith, a result of works, but of grace. As St. Jerome reminded us: "We are not one in the Father and the Son according to nature but according to grace. For the essence of the human soul and the essence of God are not the same." 1. How does the Word function in the text? The words of Jesus in this text show the great heart our Lord has for the world and for his followers. The final verse clinches it: "I made your name known to them, and I will make it known [in the Cross], so that the love with which you have loved me may be in them, and I in them." All of these words are gospel words for they proclaim to us the love of the Son for us all. 2. How is the Word not functioning in the text? Any word of Law, i.e. any word which functions to lift up our need for Christ, is barely present here. At one point Jesus reminds the Father that the world does not know the Father, but beyond that there is no hint of our need for Christ. Of course, we might infer that if Jesus is praying so fervently for the unity of all believers, then perhaps we rightly assume that disunity is our natural state and in that way, we stand in desperate need of a God who can bring us together. 3. With whom are you identifying in the text? We are those who are overhearing this prayer. We are not addressed directly, but we overhear Jesus praying on our behalf. We are therefore those who are privileged to witness the love of God for the world and all believers. We are those who stand in awe of this love and can only sing praises to God for this marvelous love. 4. What, if any, call to obedience is there in this text? We might be tempted to view this whole text as a call obedience, especially the call to seek unity. It is clear that the Son desires unity for believers, but at no point in this text does Jesus exhort his followers to pursue this. 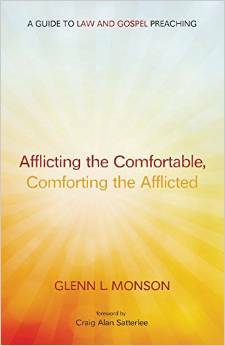 This text is not an exhortation to do something that only God can do. Perhaps our call is to get out of the way, and to repent of any actions or attitudes that hinder unity. 5. Exegetical work: There are a plethora of commentaries on the High Priestly Prayer of Jesus but a couple of comments that are helpful to me are: 1) Lamar Williamson: "This unity [which Jesus prays for] is spiritual, constituted by their mutual indwelling with the Father, the Son, and each other." 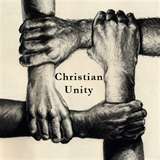 And "this unity is a gift from God, not an achievement." (Preaching the Gospel of John, 229f); 2) Raymond Brown: This unity involves both the vertical (God and us) dimension and the horizontal (us and our neighbor). Christ is praying for unity, not "simply human fellowship." (The Gospel According to John, 774f); 3) Gerard Sloyan: "It was a remarkable time in the history of one infant church, the Johannine, when a vision of the world as it might be and the history of one actual community came together. The congruence of the world believed in and the world lived in may have already passed by the time the Gospel was written. Its author wants believers to live in hope until the parousia, but knows that the only way to make any sense out of that strange concept of the final coming is to live it now." (John, Interpretation series, 199).